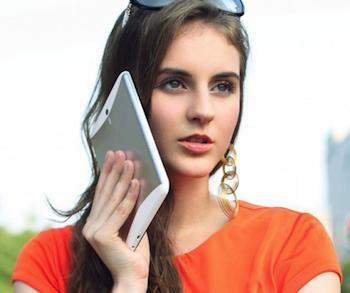 As phones continue to get larger, tablet like screens, so small tablets continue to get phone capabilities. We’ve seen it several times already, and now Huawei has joined the party with the MediaPad 7 Vogue. Announced just a few days after its highest profile device launch yet – for the Ascend P6, the world’s thinnest smartphone – the tablet may not have the greatest specification, but it does have an aluminum unibody, elevating it above the many plastic Android tablet offerings out there. The screen size is an ever-popular 7-inches, but the resolution is a slightly less crowd-friendly 1024 x 600, which despite being low, is common on entry-level Android slates. Inside things improve, as one of Huawei’s own quad-core processors, the K3V2 with a clock speed of 1.2GHz, powers the show along with 1GB of RAM. There’s 8GB of storage space, and a microSD card slot allows owners to boost this by another 32GB. Huawei has fitted a 3-megapixel camera to the rear, which can shoot 1080p video, along with a basic VGA camera above the screen ready for the odd, pixelated video call. Android 4.1 is the operating system, and Huawei has installed its Emotion UI over the top, plus there is GPS, Bluetooth, a USB port, and a 4100mAh battery set to return around 8 hours of video playback. Huawei’s latest budget model is in direct competition with the 7-inch Samsung Galaxy Tab 3, as the specs are almost identical. It’s nip and tuck with the dimensions too, as the MediaPad 7 Vogue measures 9.5mm thick, and weighs 335 grams, making it a touch heavier, but slightly slimmer than Samsung’s tablet. 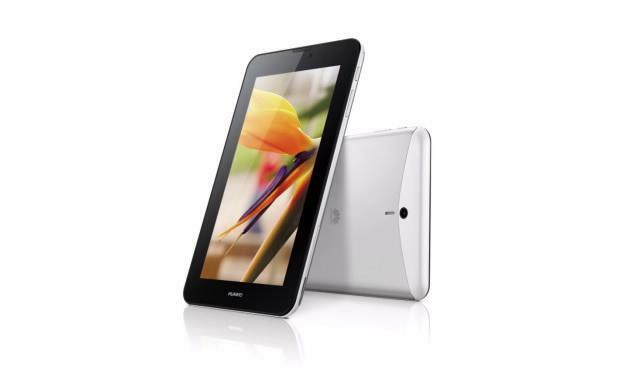 A Wi-Fi version will be produced alongside the 3G MediaPad 7 Vogue, which will also support HSPA+ connectivity. Huawei says the tablet supports direct calling, and doesn’t need headphones, but if you’re thinking this is a good thing, a promo image which you can see to your right will remind you that it’s not. The MediaPad 7 Vogue will go on sale in China later this month in both black and white color schemes, and other markets will be announced at a later date. The price hasn’t been confirmed, but with the Galaxy Tab 3 available for around 200 euros ($260), it needs to come in below that figure to be competitive.